Creative instrument design for people who want to sound different. Kontakt 101 takes you through everything you need to know to learn how to create your own instruments in Kontakt using the built in sample manipulation features. Design complex virtual instruments using multiple layers, round-robins, keyswitches and much more. But it’s more than just hours of totally immersive video tutorials. You will receive a comprehensive course text and all the files included in the videos so you can really drill down and see every technique in real detail. If that wasn’t enough, there’s a tutor lead forum where you can share your instruments and chat with your classmates. Learn how to create a simple sampled instrument in minutes. Create complex virtual instruments with no programming or scripting knowledge required. Join our dedicated community forum to share your instruments and mixes. All materials are fully downloadable, an invaluable resource you’ll be going back to over and over again. Enrol Now – The comprehensive guide to writing film, games and television music in the most sought after styles. 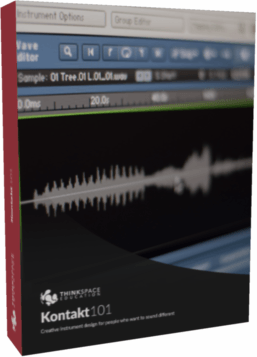 Kontakt 101 boasts over two hours of video tutorials with Kontakt programmer David Healey. Join him as he guides you through how to correctly prepare and export samples, create velocity layers, round-robins and instrument keyswitches; all using the native Kontakt controls. The course is specifically designed for composers and musicians who want to sound different from the rest. Ever wanted to create acoustic instruments in a virtual domain? 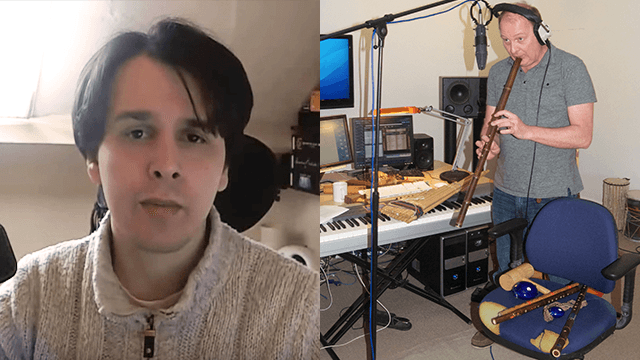 Well, Kontakt Guru David Healey (who has worked on sample libraries for Sampleism, Strezov Sampling, Tronsonic, Wavesfactory, Aria Sounds, Bela D and more) takes you through everything you need to know to create your own sampled instruments. Get ready to enter the world of the professional film, games and TV composer. Meet Guy Michelmore who will be introducing you to many of the styles requested most often by his international roster of clients. Action, Contemporary Action, Emotive, Ethnic, Heroic, Fantasy, Suspense, Moody Drama and more. A simple trick to add live guitar to your music for non-guitar players! A time-saving technique we use every day in our commercial scoring work that keeps us on schedule and keeps major broadcasters happy. You need access to a reliable broadband internet connection to download and stream the course materials, preferably 5Mb/s or better. We need an active email address that can receive emails from us. Course materials are both streamed and downloadable and in total can come to 20GBs or more so you need at enough disk space to store the materials as well. The minimum required specs for your PC or Mac only need to match the minimum requirements to run Kontakt 4/5. You can check what these are on the Native Instruments website. You don’t need to be able to read music to take the course, but you must have at least a basic understanding of how to write music and be able to create a piece and record it with reasonable fluency. The video material totals at over 2 hours, however you can watch them in whatever sitting suits you best. Downloadable course materials are only enabled after the money-back guarantee has either been waived or expired.